The YMCA's Diabetes Prevention Program is an evidence-based program that helps those who have been diagnosed with prediabetes, or believe they may be at high risk of developing type 2 diabetes, adopt and maintain healthy lifestyles by eating healthier, increasing physical activity and losing a modest amount of weight in order to reduce their chances of developing the disease. This program has been proven to cut people's chances of developing diabetes by more than half. You do not need to be a YMCA member to participate. We begin classes throughout the year. We are now forming classes! How do I know if I have prediabetes, which would qualify me for the YMCA's Diabetes Prevention Program, or how do I know I'm at risk? Fill out the YMCA checklist to see if you may qualify. This program is a year-long program broken down into 16 core sessions, where participants will meet weekly, followed by 3 bi-weekly sessions. Then participants will meet 1 time per month for the last 6 months for maintenance sessions. Each session is in a classroom setting where a trained lifestyle coach facilitates a small group of participants in learning about healthier eating, physical activity and other behavior changes. This program is designed to help participants adopt and maintain healthy lifestyle changes over the course of one year. What are the 2 program goals? To lose 7% of your body weight. What is the cost of this year-long program? The year-long program fee is $429, which includes a 4 month membership to the Fond du Lac Family YMCA. Current Fond du Lac Family YMCA members will be waived the monthly membership rate for 4 months at the appropriate individual membership rate. These are available on an as-needed basis. Check to see if your insurance provider will cover the cost of the program by calling 1.800.237.4942. If the program is not covered by insurance, the program is still available to you. To be considered for this program, or for any questions, contact MJ Neumann at mjneumann@fdlymca.org or 920.921.3330 x 336. Diabetes is a serious health condition that is marked by high glucose levels caused by abnormalities in the body's ability to produce or use insulin, a hormone that regulates the amount of glucose in the blood. It can lead to heart disease, stroke, kidney failure, high blood pressure and blindness. Prediabetes is a condition in which individuals have blood glucose levels that are higher than normal, but not high enough to be classified as diabetes. It is a potentially reversible condition that often leads to type 2 diabetes unless steps are taken to prevent it. Without weight loss and moderate physical activity, 15-30% of people with prediabetes will develop type 2 diabetes within 5 years. 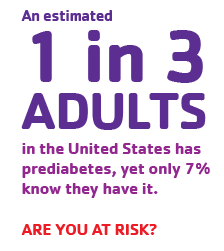 Source: www.cdc.gov/diabetes/prevention. Learn about how the YMCA's Diabetes Prevention Program helped a past program participant. 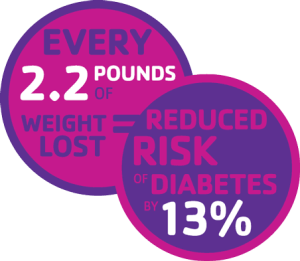 For more information about the YMCA's Diabetes Prevention Program and how you can take control and join our upcoming program, contact MJ Neumann at mjneumann@fdlymca.org.